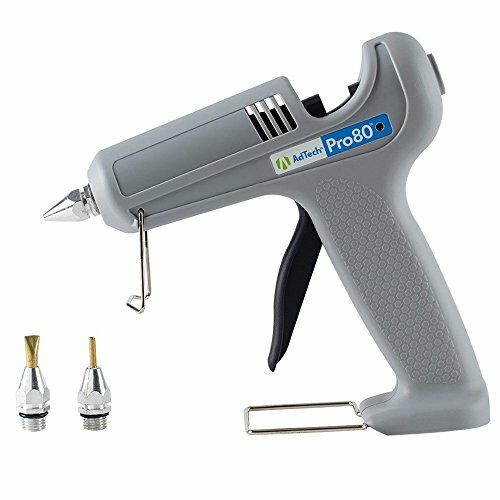 WHY SHOULD I BUY THE CHANDLER TOOL CT100 STAND-UP GLUE GUN? 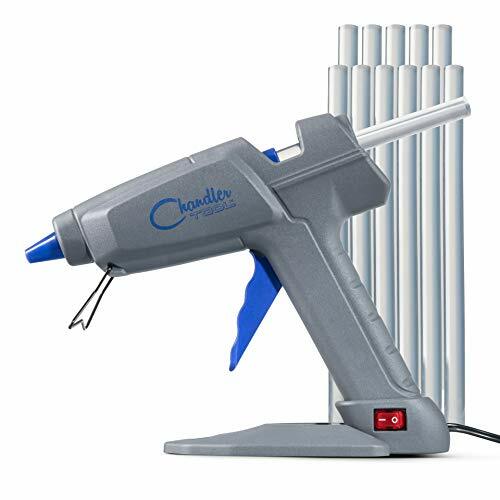 If the Chandler Tool CT100 looks different than other glue guns, that's because it IS different. Once you experience the ease & convenience of our patented "Stand-Up" base, you'll wonder how you survived without it! No more tipping. No more dripping. And for those times you'd prefer a traditional wire stand, we've included one of those too. Our most powerful model yet, the 100 watt CT100 is our answer to the handyman or handywoman looking for a heavy-duty gun for home repairs & DIY projects. For use with 11mm (7/16") glue sticks (10 included) QUALITY Do you like throwing away tools & buying new ones? We don't. That's why we built the CT100 to last. 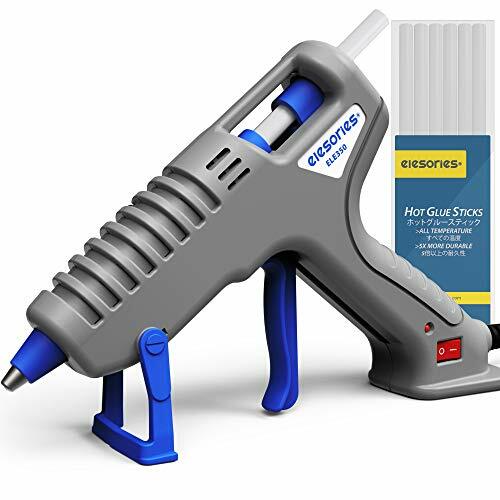 With a body made from top-quality impact-resistant plastic & an all-metal precision heating element, this just might be the last glue gun you buy. 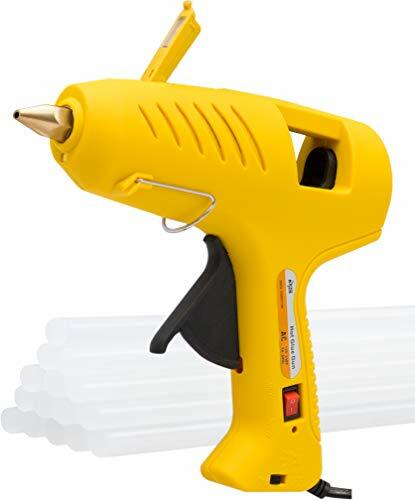 SAFETY A defective glue gun is both an electrical hazard & a fire hazard! Beware CE-certified (Europe-only) & non-certified (yikes!) 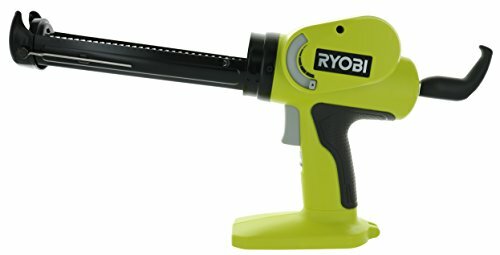 glue guns. UL-certification is the North-American safety standard. UL certification is very expensive & manufacturers are proud to display it, so if a product doesn't say "UL Certified" you can be sure it's not. 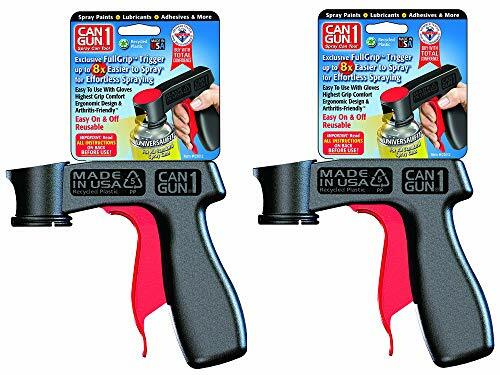 Unlike most hot glue guns sold online, the Chandler Tool CT100 Stand-Up Glue Gun is fully UL-certified. WHO IS CHANDLER TOOL? Born out of frustration with low-quality throw-away tools, Chandler Tool was founded with a single purpose: to create high quality tools that last a lifetime. Though many of our products are produced overseas, we are an American company, building tools to American standards for American customers. Buy with confidence. We stand by our products with American customer service & a lifetime warranty. LIFETIME WARRANTY If our products ever fail to live up to your expectations, we will make it right. All of our products carry a lifetime warranty against defects in materials or workmanship. 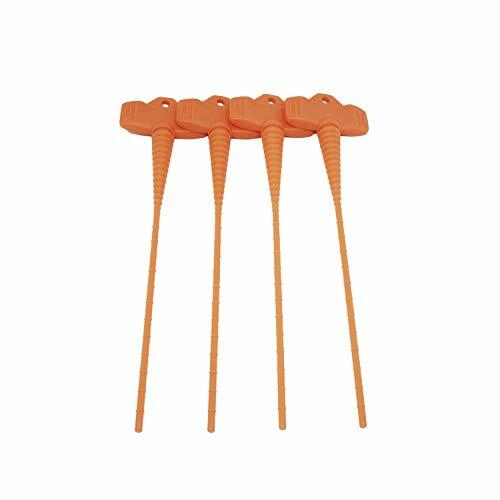 Help you save money: the caulking tools can be applied repeatedly, very easy to clean, a damp cloth is enough. The Caulking Tool Kit is so small for convenient to store and carry. 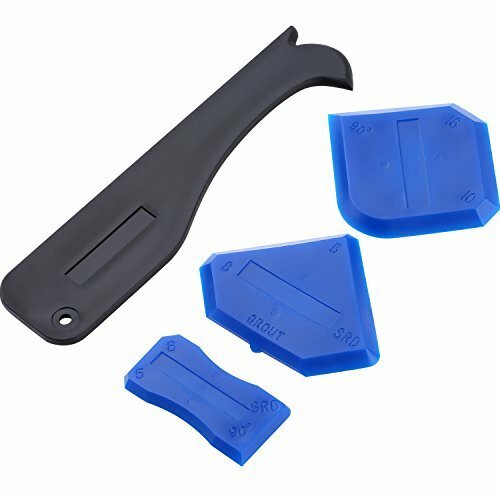 The sealant finishing tool has different sizes marked on each edge, very practical and easy to use. 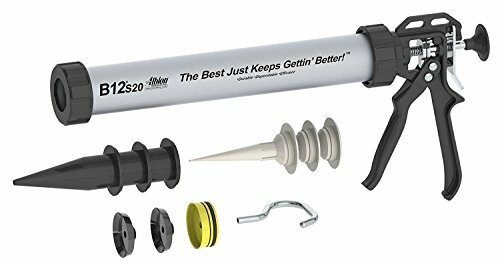 Wide usage: The Silicone Sealant Finishing Tool fits for most types of sealant, silicone, acrylic, resin, grout and more. 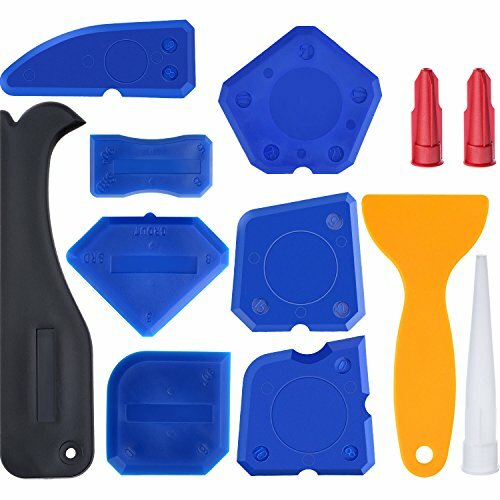 The smoothing tools can make your project look beautful, make your silicone sealant seal work like a professional plumber. 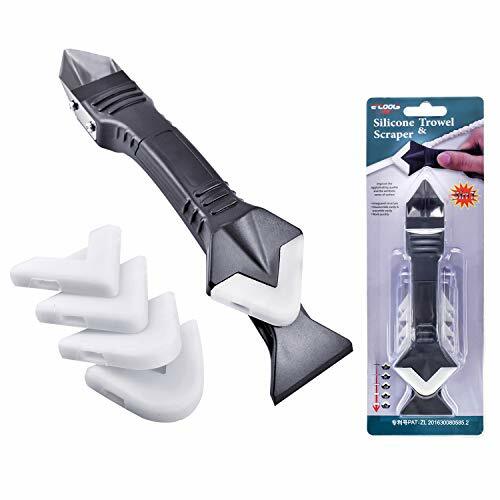 The 3 in 1 Caulking Tools comes with 5 Silicone Pads. 5 different radius including 3R,6R,10R,13R,17R create variable round shapes. 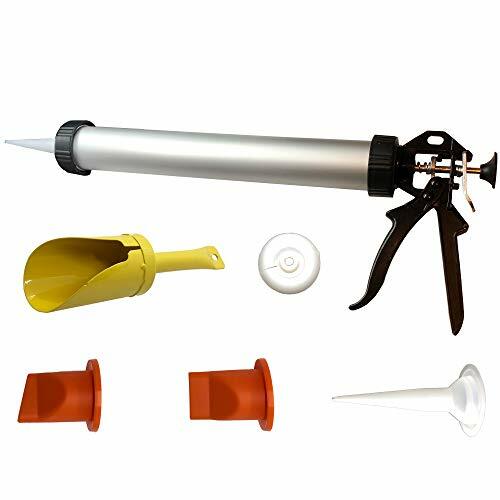 Wide Application and Guarantee This caulking tools can be use for home,kitchen,bathroom,tank,window,sink joint and so on. and we provide good service for our customers,refund fast and replace a new one. 1. Prevent air & moisture get into the product. 2. Save money no more waste. 3. Push in nozzle stopper after use. 4. Keeps product fresh every time. 5. 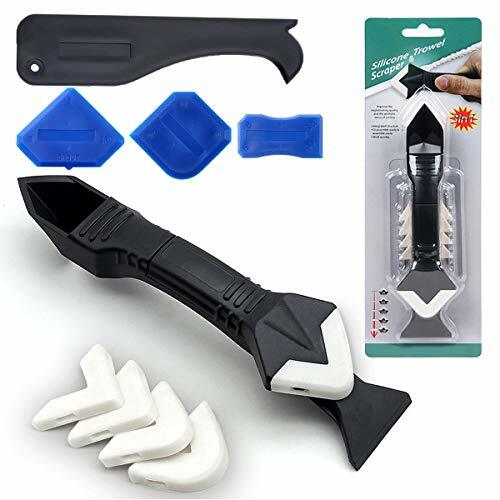 Easy to use /Easy to Clean /No mess. Pro Tips slip over the spout to allow even more precise application of our glues than the spouts that come with the bottle. A Pro Tip has the same diameter from its base to the tip, so that if it clogs and you have to cut it down, it will still apply the glue just as precisely. Each box comes with 12 Pro Tips. Apply your instant glue more precisely than ever, saving glue and clean-up time! Pro Tips slip over the spout to allow even more precise application. If it clogs and you have to cut it down, it will still apply the glue just as precisely. 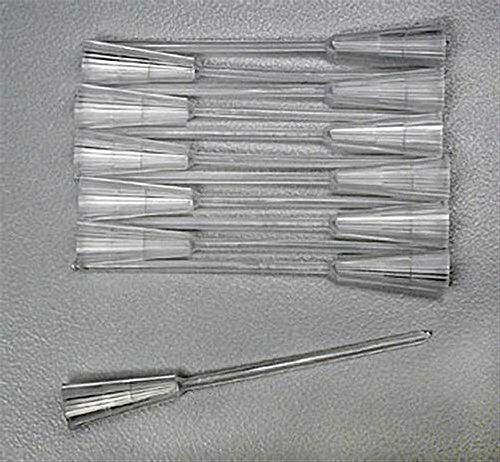 VARIOUS USE APPLICATORS - Creative tool pack for precision glue job, wood adhesive, glue injector, essential oil dispenser, hobby crafts, ink refill, jewelry making,electronic components , lubricants, science lab etc. Use your imagination, use it in creative projects that you think are feasible, and cultivate your creativity; welcome you to paint your creations, let us all discuss together, and also evaluate and imagine after using our products. Always full of magical power! - In the future, we will create more and more creative products according to your use and requirements! Please do not hesitate to message us if you have any questions. We will respond to you within 24 hours to ensure you are a satisfied customer. 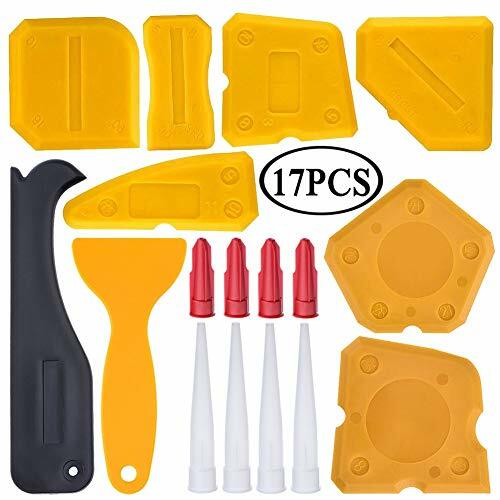 MULTI PURPOSE APPLICATOR KIT - Application of wood adhesive, CA glues, inks, lubricants, flat back rhinestones, sealants, hobby crafts, industrial dispensing, science lab,etc. 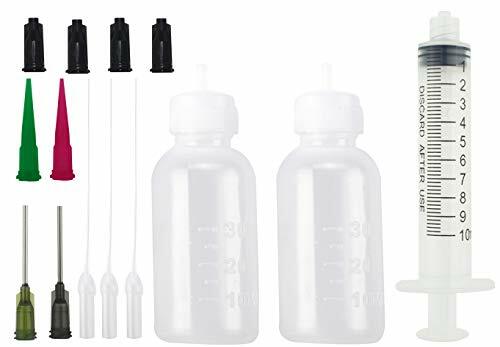 INDUSTRIAL GRADE DISPENSER KIT - 10ml industrial syringe, 5 different styles tips and caps, great for liquids measuring, refilling and dispensing. DISPENSING APPLICATOR BOTTLE - 30ml soft plastic LDPE bottles for liquids applicationfor of oils, acrylic paint, oil paint, watercolors, water based glues, silk dyes, epoxy, glazes, alcohol inks and grease. Creative Handmade Tools - The best combination of syringes, squeeze bottles and tips. Not only thin glue applications, paper art, mechanical lubrication, etc. ; it can also help you complete the creative projects you design. Not for medical! for industrial use and crafting use. I am a 32-year-old man. In July 2018 I wanted to change a door myself. 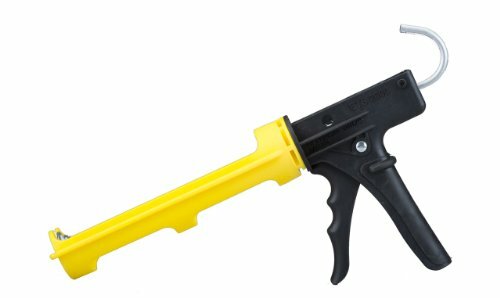 I bought a can of foam sealant but forgot the cleaner.After filling door gaps with this gun, I cleaned the muzzle and connector with cloth instead of special cleaner. Then I put it into the toolkit. After two months I wanted to use it to make a soundproof room for my baby. I still not buy cleaner. Save money, isn't it? As expected, foam dispensed smoothly. Again, I cleaned the muzzle and connector only. Four months later my neighbor came to borrow it to install her new bathtub. I was a little worried because I wasn't sure if it still works. When she returned, she thumbed up and said, it's awesome! No clog. Love it. I'll buy one also. Before use wear suitable protective clothing,gloves and eye or face protection. In use never point the foam gun at people or animals or fire. Keep it away from children. 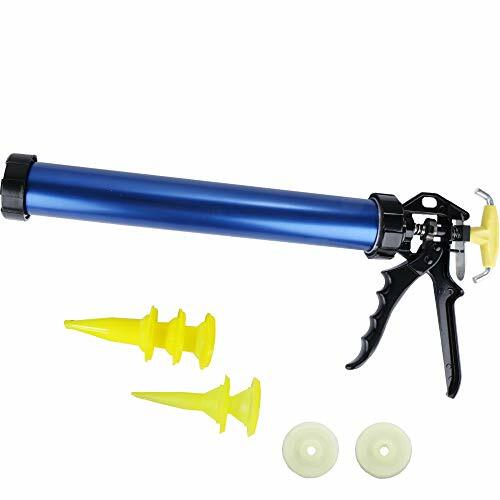 [REUSABLE AND NEVER CLOGS] This foam dispensing gun never clogs after multiple uses and still can spray smoothly, because both inside and outside the barrel has been treated with poly tetra fluoroethylene (PTFE). 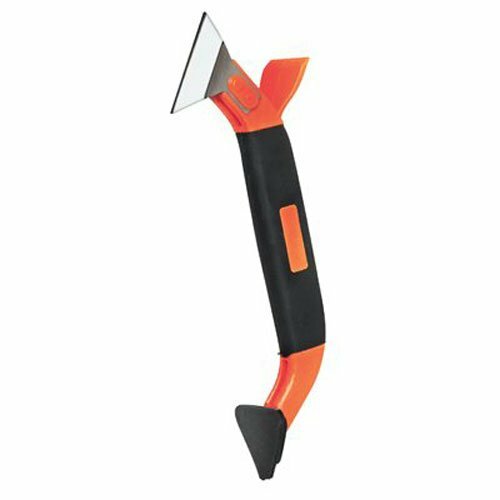 [NO NEED TO CLEAN] You needn't spend money in buying specific detergent and waste time in cleaning this foam applicator any more after use. 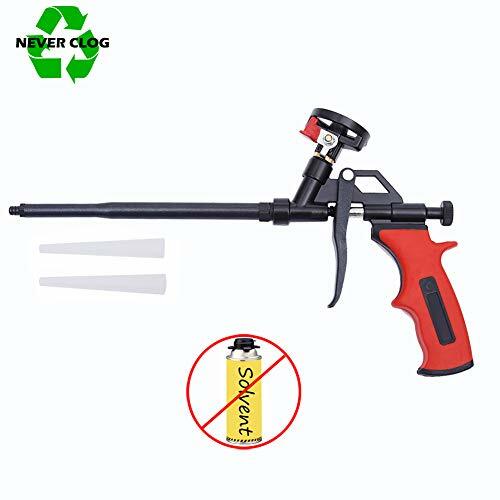 This foam sprayer helps the owner to save money and time. 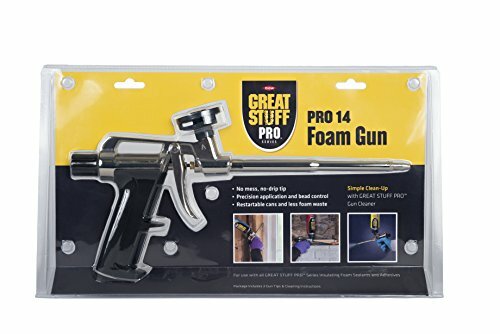 [ADVANCED DESIGN] Our pro foam gun is the upgraded generation of other brands by adding a valve, which helps to achieve true no-clean. 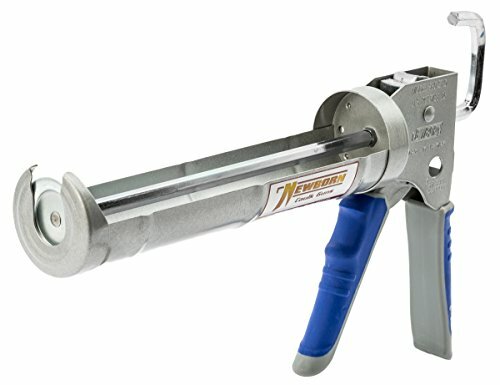 The valve can seal the barrel to enable users to discharge residual sealant completely. 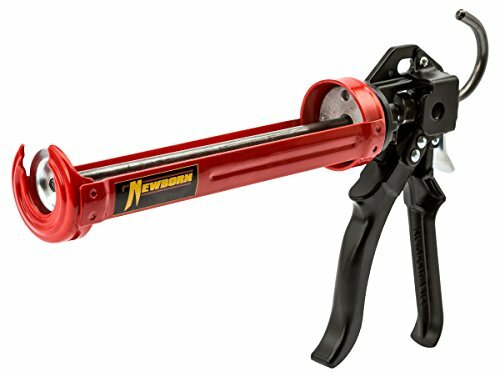 [ESSENTIAL IN HOME IMPROVEMENT] This sprayer is widely used in filling, sealing and insulating gaps of doors, windows and bathtubs or holes of air-conditioner pipes during installation. 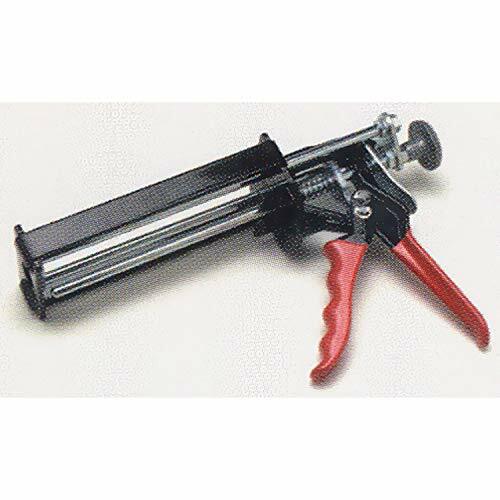 [HIGH COMPATIBILITY] This polyurethane foam gun is compatible with foam canisters e.g. 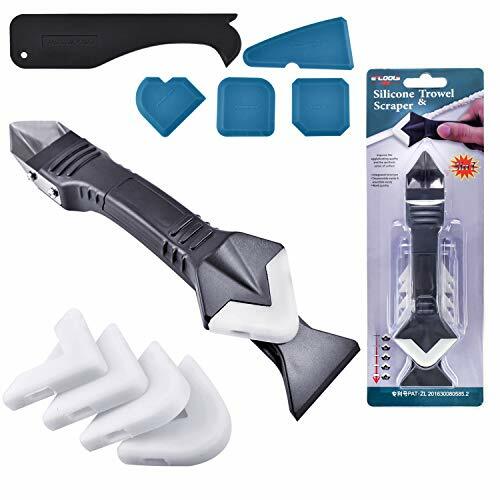 Great Stuff Pro, Touch'n Seal, Fomo Handi-Foam, Handi-Stick. A foam can connects to the top of the gun through screwing. Band Length: 183mm. Compatible For Fitbit versa Lite. 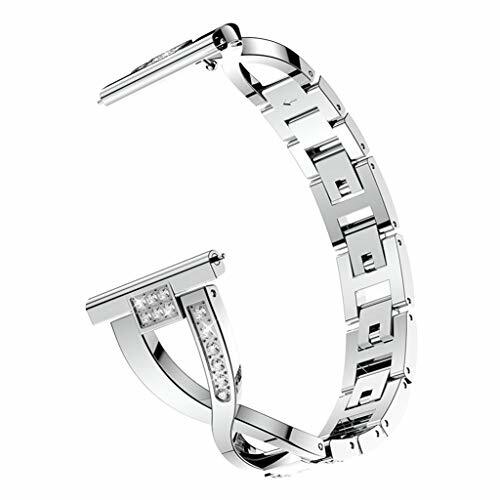 Luxury Stainless Steel band for watch. Fashion and classic. Unique elegant luxury design, Stylish delicate and honorable looking. Crystal rhinestone diamond decorative, unique look on your watch. Set with rhinestones. Makes your watch band look like a jewelry. Brings you lots of compliments. Best quality stainless steel bands compaible for Fitbit Versa Lite watch are made of durable, these watch bands can prevent skin from irritation, flexible, lightweight and quite comfortable to wear. Sweat & water resistant.